Religious congregations across the country are facing declining attendance and funding. Walk into the nearest church in your community on a Sunday morning and you’re likely to find many of its pews empty. Churches, like most institutions, have been built in a relatively fragile manner. Whether it’s a hundred-year-old cathedral that costs a fortune to keep up and was only full in its early heyday, or a suburban megachurch with a cafeteria, fancy sound system and massive parking lot that will only be able to afford its over-extended infrastructure (not to mention the cost that parishioners must pay to drive miles to get there) for so long—religious communities could benefit from adopting some creative, resilient tactics. The Pew Research Center reports that just 27% of millennials and 34% of Gen Xers say they attend weekly religious services. When it comes to filling church buildings, a study conducted by Faith Communities Today shows that between 2005 and 2015, the median weekend church attendance declined by 38% and that in 2015, nearly 60% of churches had less than 100 people at a typical weekend service. And yet, according to Pew, more than half of all Americans still say that religion is very important to them. I don’t think these deeply held beliefs and values, nor the need to gather with a supportive community, are going away any time soon. 1. Consider a smaller building. The large half-empty buildings that so many congregations make their home in simply aren’t sustainable any more. I can’t remember a single church I’ve attended (and I’ve been to many) that didn’t have multiple rooms and even whole wings that were completely unoccupied, not to mention central gathering spaces that are rarely full—all of which cost a fortune to heat and cool and maintain. I recently got married at the church I've been attending for the last three years and shortly before the wedding service, I was shown an entire "bridal suite" I'd never seen that occupied thousands of square feet of space and couldn't have been used more than a handful of times every year. A financial reality check is often in order for old churches when a massive bill for a leaking roof or outdated furnace lands and the community has no way to pay for it, much less a real passion for that kind of project when the money could be spent on other church ministries. The process of leaving behind a building and finding a new one is, undoubtedly, a big challenge, so perhaps this tip will be most helpful for young churches that are considering where to locate. Still, sometimes drastic measures are necessary. For a slightly easier option, churches might want to consider idea #2. 2. Merge with other congregations or find a way to share space. For some religious denominations that are part of a national or regional network, this sort of agreement whereby two congregations become one (often with fun name mash-ups like “St. Matthew and the Holy Ghost”) can be orchestrated and managed by higher-ups. For other congregations, it will have to be negotiated organically. Either way, the merging of two congregations, while a deeply challenging process, can breathe new life and financial stability into struggling churches. Another option is a space-sharing agreement where two congregations (they could even be different types of faith communities) agree to use a worship space at different times throughout the week and perhaps have their own offices or shared used of other spaces like common rooms and kitchens. Check out this article on creative space-sharing for more ideas. 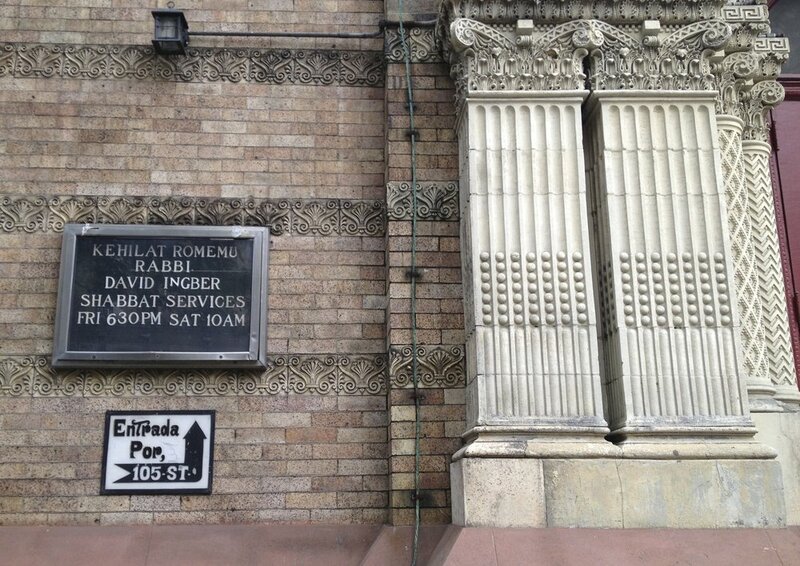 One side of this New York City building advertises church services. The other advertises shabbat services. 3. Turn the building into a revenue generator. Many churches already do this, but many could consider it, or do more of it. As I mentioned earlier, most churches have empty offices and even whole wings that are unused. Fill those spaces with rent-paying tenants like schools, daycares, or businesses (small-scale companies with minimal space needs like law offices and accountants can be a great fit). If your church has a rectory that is no longer housing the parish minister, rent that out to a residential tenant. Short-term rentals for weddings, parties and concerts can also be a good revenue stream if managed properly. Church spaces, with their large halls and kitchens, are well set up to accommodate these uses. On an even simpler scale, offering up meeting space for a small fee to local clubs and groups could boost revenue, too. One downtown Minneapolis church I used to attend would rent out their parking spaces during popular festivals and events. All that this required was a few signs and volunteers willing to sit at the parking lot entrance to collect payment. One final note I want to add is less a material suggestion and more an emotional one: Don’t tie your identity to a building. 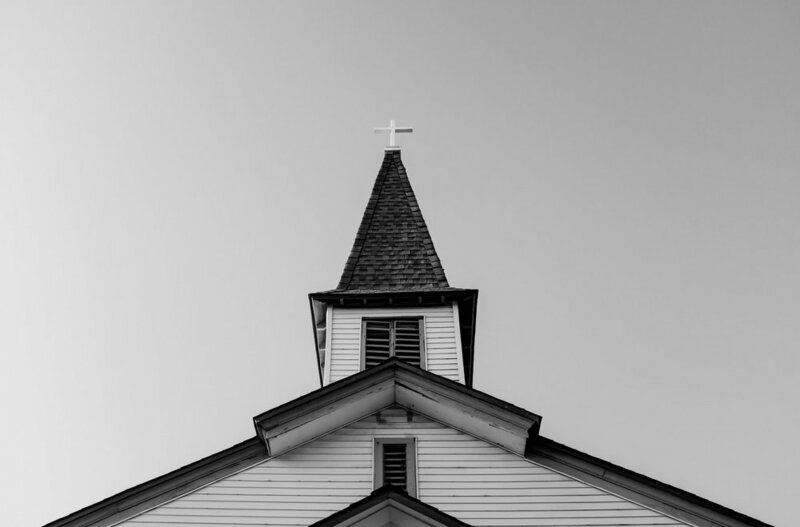 I have witnessed several congregations go through the painful process of considering how to pay for insurmountable repairs to old church buildings and seen how emotionally trying it can be when a community feels so intimately connected with a particular space. It’s completely understandable, given that many of these buildings are the places where congregation members were married, watched their get children baptized/first-communioned/confirmed, and spent multiple days every week in. It can be hard to let a significant location go or to allow its uses to change. But for some religious communities—where the money to support a large, stand-alone building simply isn't there—this will be a necessary step if they want to survive. Down the block from me, in my dense urban neighborhood, a church recently opened up in an old commercial storefront. They’ve made impressive use of the space with a combined entry-area/gathering space, a small kitchen, some classrooms and offices, plus a simple but inviting central worship hall. They turned a small parking lot out front into a public seating area. Every Sunday that I’ve been there, the space is lively and full. Walking past the big storefront windows on weekday evenings, I often see groups meeting for meals, Bible study and conversation in the entry/gathering space. This is a church adapted for the modern age, with low overhead and connection to the neighborhood. 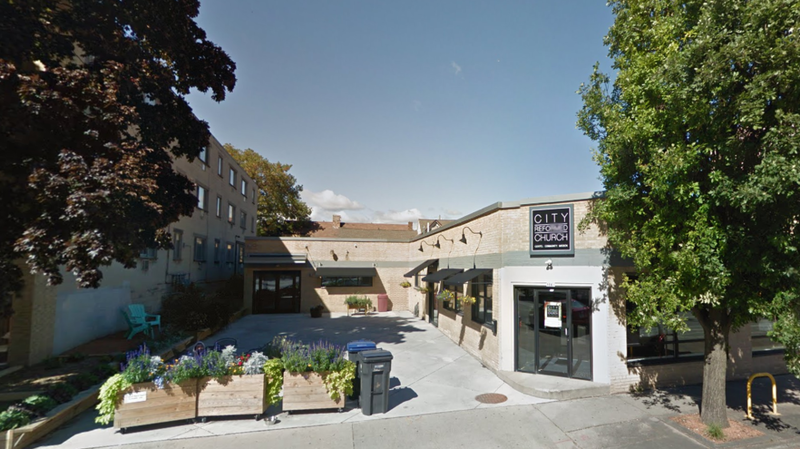 Down the line, if it closes or needs to move into a larger building, its current home can easily be turned back into a commercial storefront, or perhaps a daycare, restaurant or offices. This sort of model is, I believe, the future for religious communities in the twenty-first century. For churches that currently occupy crumbling old buildings, the path to get there may be winding and challenging, but active efforts to become more financially resilient will surely lead to a better outcome than treading water. Communities of faith stand in an important position to support vibrant, walkable, mixed-use neighborhoods; and in recent years, some have stepped up to the challenge at a variety of different scales. Religious congregations across the country are facing declining attendance. How can they become more resilient in a changing religious and economic landscape? Space-sharing cuts down on the need for redundant infrastructure and decreases costs for everyone involved. Houses of worship are in the perfect position to creatively share their space.